The United States Preventative Services Task Force (USPSTF) has updated its recommendation for prostate cancer screening after reviewing evidence published since its 2012 statement. In a recently published paper, the USPSTF has concluded that men aged 55-69 years should undergo periodic PSA screening after a discussion of the potential benefits and harms with their physician. The USPSTF panel, which included urologic expert opinion for the first time, concluded that there was a small benefit of reducing death from prostate cancer resulting in a grade C recommendation for this age group. The grade D recommendation stating that there is more harm than benefit to screening remains in place for men older than 70. As a result of the 2012 USPSTF grade D recommendation discouraging PSA based prostate cancer screening for all men, prostate cancer detection rates fell by as much as 30% in 2013. This included a 23% drop in the diagnosis of high risk, aggressive prostate cancer. Justifiable concerns remain that the delayed diagnosis of aggressive prostate cancer would reverse the powerful stage migration noted during the PSA screening era, resulting in an increased incidence of advanced, incurable disease at diagnosis. The task force was unable to make specific updated recommendations for populations of men at increased risk for prostate cancer including blacks and those with a family history of prostate cancer. Further research on those populations was encouraged. The USPSTF recommendations for shared decision making for PSA screening in the 55-69 year-old age group more closely align with the American Urological Association (AUA) and most major physician group recommendations. The Florida Prostate Cancer Advisory Council (PCAC) is in the process of adjusting their 2016 screening guideline statement for Florida men at risk for prostate cancer to reflect the recent USPSTF grade adjustment from D to C for a limited population of men. Although a positive step, PCAC and the AUA feel that the current USPSTF recommendations fall short of addressing risk factors for early onset disease prior to age 55 or disease impactful to healthy age 70 or older men with a greater than 10 year life expectancy. Known risk factors that need to be part of an informed conversation for screening with all men as early as age 40-45 include race, family history and chemical exposure including Agent Orange. 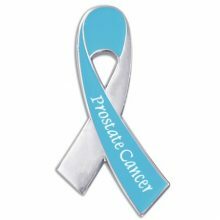 PCAC applauds the effort of the USPSTF to address PSA based screening recommendations in populations of men at risk for prostate cancer. The expanded effort has included review of relevant updated data and inclusion of pertinent expert opinion within the field. Application of individual risk factors for detection of aggressive disease in younger and older men will need to be the next evolution of universal guidelines for prostate cancer screening.